For those that like the fullest and long lasting flavour of yerba mate. Has the same traditional taste as the classic blend, but without the stems. The pure leaf blend is perfect for sharing with friends. 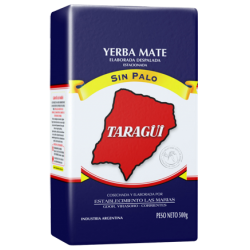 TARAGUI 100% Pure Leaf yerba mate. 100% Traditional taste. A beautiful contemporary Mate Gourd, made from turned wood with an aluminium outer cover. This.. Please email sales@amigofoods.co.nz in advance to request this promo so we can make stock availab.. 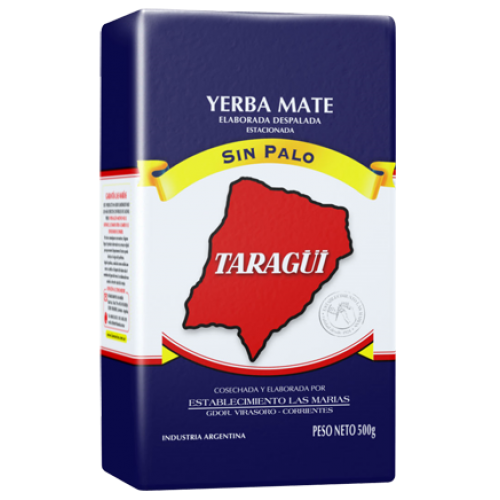 This is a carton of 10x packets 1Kg Taragui Classic (sin palo, pure leaf - without stems) Shi..
A drinking straw known as a Bombilla. Made from Alpaca (German Silver) and made in Argentina. Has an..
A complete kit containing a Glass & Leather Gourd, Stainless Steel drinking Straw (bombilla) a..